Today marks the 24th week of the 1 Day 1 World Project. When Lisa at Northwest Frame of Mind started this project over six months ago, I did not know how it would turn out here at the Garage, especially in the middle of the night. Being the type who sees the sun rise even during the long summer days, I knew the wee hours of the night would most likely be blank, and I succeeded. 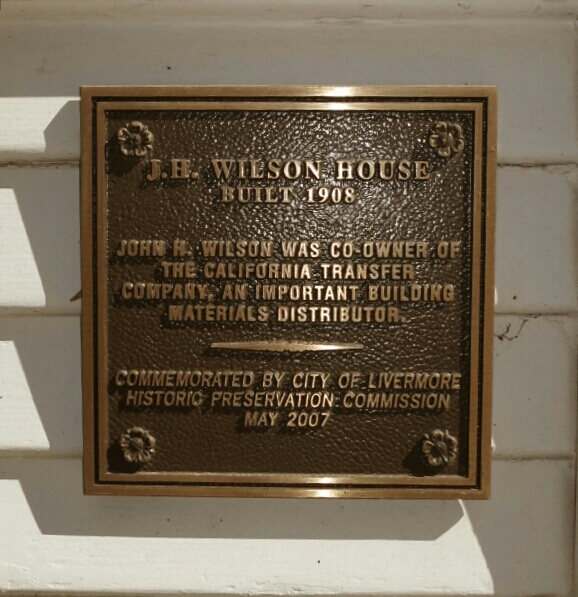 The twenty-fourth and final hour I found a very exotic place to be…the Wilson House. Most of you will recognize this as my home. 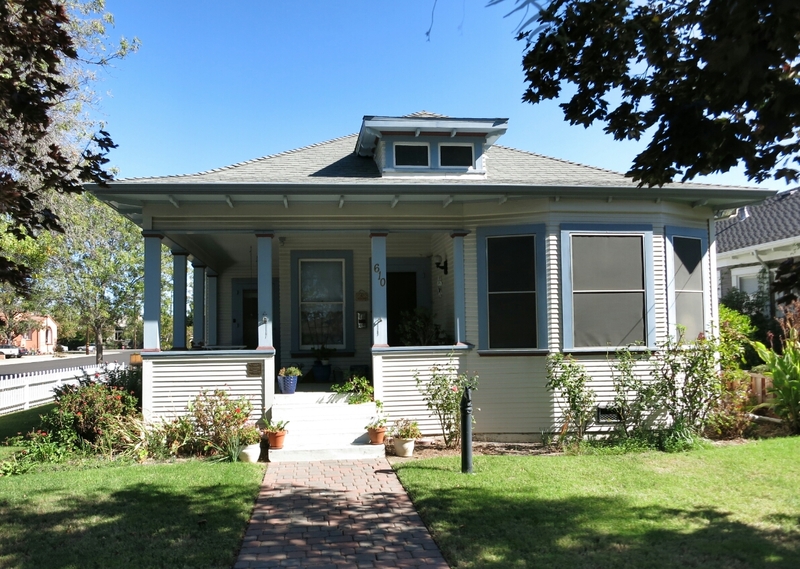 It was built in 1908 for John H. Wilson who supplied materials to those who chose to make the Livermore Valley their home. I am only the fifth owner of this historic home. It has been a labor of love to restore to its original glory. 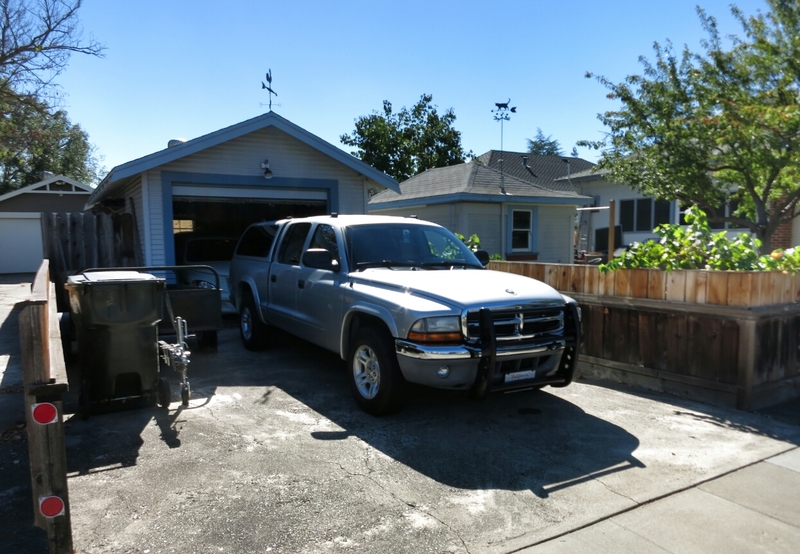 Since I could not remember the last time I washed my truck, that was the first item on today’s list. It took all morning to scrub off the dirt on the outside and vacuum up all the leaves, rocks, dirt, and dog hair on the inside. Maggie spent the morning guarding her yard from the squirrels who have been snacking on my neighbor’s fruit trees. The morning was cool so Maggie also spent some time just soaking up the sun. All in all, a great way to complete the 1 Day 1 World Project. What a wonderful story to end the 1 day 1 world project, Patrick. Thank you for introducing your home. A labor of love, Indeed! Your welcome Amy. I have enjoyed meeting you through the 1 Day 1 World Project. Thanks Lisa. It has been a fun journey. Your house is just sublime – I love it! And to be only its fourth owner: to know its provenance so well. I think this may be the first time you’ve shared a full photo of your home. So, so lovely! My husband is coveting a house with a historical marker ever since our trip to Charleston! Thanks Nancy! Any offers on the house by the lake? Houses at this price point dont tend to move. Very quicky around here. Lots of showings, lots of positive feedback, but no one writing a 7- figure cheque just yet. Tealtor warned us that the optimal timing wiuld be Feb/Mar but my property shows best in the summer months. I guess now that we have the video and photos, we can always point to those should we end up taking it off the market and relisting in the new year. A historical marker! Very cool! And a lovely house. I love bungalows. Thanks! I was very surprised when I was told my house was chosen for a historic marker. I count my blessing that I have the great home! Congrats on completing the entire challenge! I wish I could say the same… and catching up now wouldn’t be in the same spirit of fun.